About 11 million Syrians have fled their homes since the outbreak of a civil war in 2011 – including a family that settled in Silver Spring. To bring awareness to the eight-year anniversary of the conflict’s beginning, the brother-sister duo of Mouhanad Al-Rifay and Oula Alrifai are screening their documentary about child refugees from their home country this month in the town that took them in 13 years ago. “Tomorrow’s Children,” released in 2018, was directed by Al-Rifay, executive produced by Alrifai and edited by Hawa Touré, a friend Al-Rifay met through the Montgomery County school system. The experiences of the Al Rifa’i family inspired them to give back to those affected by the war in Syria and raise awareness about the resulting injustices. Alrifai was 17 and Al-Rifay was 14 at the time they moved to the U.S. in 2005. Their parents publicly opposed the Assad regime, which created conflict between the family and the country’s oppressive leadership. While Al-Rifay was excited to leave Syria and move to the U.S. as a political asylee (a person who is seeking or has been granted political asylum), Alrifai approached the migration with uncertainty. The siblings started school within a few weeks of settling in Silver Spring: Alrifai at Montgomery College and her brother at Montgomery Blair High School. He left after a year to attend a D.C. private school and then finished his high school education at Albert Einstein High School in Kensington. Adjusting to life in the U.S. was difficult, but Al-Rifay found comfort in the support of his teachers and Alrifai felt welcomed by the diverse community of students around her. As time away from Syria passed, Al-Rifay attempted to “forget about that country.” When the civil war broke out in 2011, however, he felt connected to his homeland again. Alrifai and Al-Rifay mobilized the Syrian-American community and human rights supporters to protest in D.C. after the conflict began making global news. They also founded the Syrian-American Network for Aid and Development that same year. The nonprofit was created to collect donations for refugees, and it now focuses on child labor rights and education for children displaced by the war. In 2013, on one of several trips to Turkey as the conflict progressed, Alrifai felt inspired to capture child refugees’ struggles she was witnessing after they left Syria and became trapped in a cycle of child labor. She originally set out to conduct short interviews with some of the children, later realizing there was enough material for a short documentary. Alrifai’s personal experience fleeing oppression in Syria inspired her to give children a platform to share their stories. The documentary-makers handled an array of challenges during the four-year period between filming and the release of “Tomorrow’s Children,” including technical issues, cultural barriers while filming in a foreign country and internal conflict of covering a subject matter that hits close to home. Touré joined the project as its editor years after initially meeting Al-Rifay, replacing its original photographer. They met at Montgomery Blair but first got to know each other while studying at Montgomery College. They both transferred to the University of Maryland, College Park, where Al-Rifay first told Touré about his idea for a documentary. After moving back to the U.S. following time living in her family’s native country of Guinea, Touré reconnected with Al-Rifay when their paths crossed once more – this time as coworkers at a nongovernmental organization in D.C.
Al-Rifay and Touré worked together to develop a vision for the footage they had, and they combined their skills to produce the final product. “I don’t speak any Arabic, and Mouhanad doesn’t have editing skills, so he had to sit with me at each point while I was editing the film to let me know exactly where to cut it,” Touré said. The film premiered in 2018 and was shown at the Global Peace Film Festival and the San Francisco International Festival of Short Films. Alrifai hopes the documentary shows viewers the importance of preserving future generations. “The children are always an important part of any case, any issue, any story,” she said. This project allowed Touré to better understand this situation that had not impacted her directly and brought her closer to Al-Rifay. “I always knew him but I never knew the impact that coming here had on him and all the things his country was going through,” she said. Montgomery County residents will have the chance to see the documentary at 6:30 p.m. on March 25 at Denizens Brewing Co. in Silver Spring. Al-Rifay looks forward to sharing the documentary to the community that welcomed his family, as well as other asylees and refugees. “What made me feel very proud of being here was the number of refugees this county took in, at a time when the whole country was saying “no,” he said. Over 1,400 refugees and individuals with special-immigrant visas settled in Montgomery County between October 2011 and September 2016, according to the Maryland Office for Refugees and Asylees. Gov. Larry Hogan asked the federal government to stop refugees from migrating to Maryland in November 2015, but the Montgomery County Council and Executive said they would welcome them a week later. Although the Al Rifa’i family – and other asylees or refugees – originated from another country, they feel accepted by the county. Bryan Gallion is a Spring 2019 intern for Montgomery Community Media. 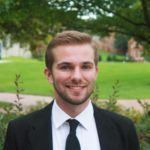 He is a senior multiplatform journalism major with a professional writing minor at the University of Maryland. Bryan can be reached at bgallion@mymcmedia.org.